Quick brined and grilled, these tender pork chops are coated with a garlic, balsamic, and brown sugar glaze. Sweet, savory, and delicious. Mix brine ingredients until sugar and salt have dissolved. Submerge pork chops in brine solution, cover and place into refrigerator for 2 hours. About 15 minutes before chops are done brining, make the glaze. 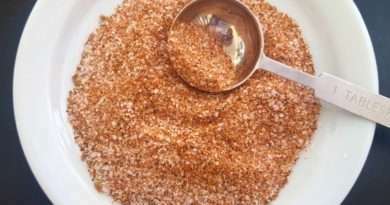 In a small saucepan, bring balsamic, brown sugar, garlic, and cloves to a quick boil. Reduce heat to medium and let sauce simmer for 8 minutes, stirring occasionally. Allow sauce to reduce by half, or thicken enough to coat the back of a spoon. Reduce heat further if needed. Remove from heat, cover and keep warm. If glaze gets too cold, re-warm before using. Remove chops from brine and rinse off with cold water. Blot dry with paper towels and season with black pepper and granulated onion. 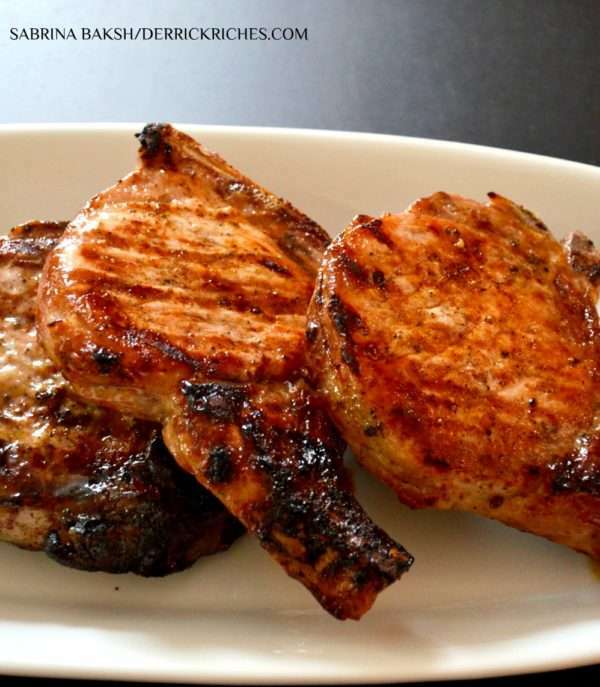 Place pork chops on grill and cook for 5 minutes. Turn and cook for 5 more minutes. Apply glaze to chops, turn and apply again. Repeat process 4 times for the duration of cook time. Watch for burning and move chops to cooler part of grill if necessary. Once pork chops have reached an internal temperature between 150-160 degreed F., remove from grill and place onto a large plate. Tent with aluminum foil and let meat rest for at least 5 minutes. Serve with your favorite sides.